A homeless man, named Queenie, was seen cheering on cyclists for hours on end at the Cape Town Cycle Tour at Maidens Cove in Clifton. 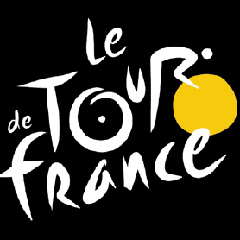 Nice - The 2020 Tour de France will start from Nice on France's Cote d'Azur, organisers announced on Monday. The Mediterranean resort plays host to the so-called 'Grand Depart' for the second time after 1981, the year Bernard Hinault claimed the third of his five triumphs. "I reckon that lots of cyclists will greet this news with a big smile," said Tour director Christian Prudhomme. For Nice it will mean a welcome boost in revenue. "The Tour is the third (biggest) international (sports) event and as such means a sizeable economic boost for the whole of the region," said the city's mayor Christian Estrosi. The announcement was made less than 24 hours after the 2018 Paris-Nice stage race was won by young Spaniard Marc Soler. Prudhomme commented: "The last few editions of the Paris-Nice have shown that the variety of landscapes and reliefs in the region adds to the suspense, the attack, the show. "That's precisely what we want to give... to the 2020 Tour." This year's Tour, the jewel in cycling's crown, sets off from the Vendee in the west of France with the 2019 edition beginning in Brussels.